Spring prices are falling! Shop Dallas electricity plans now for the best 12 month fixed rates! 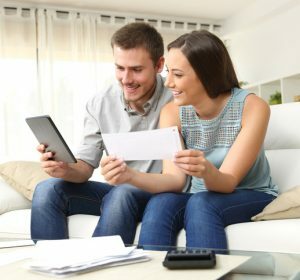 How Do I Shop for a Better Energy Provider? You have plenty of options to consider when changing Texas energy providers. You need low rates, without any surprises, and a plan that gives you room in your budget to do the things you love. Current energy rates are low in Texas. Now’s the time to shop for savings. So, here are the two best 12-month fixed-rate plans for Oncor customers. How Can You Keep Your Energy Rates Low in Dallas? Bill credit plans can be hit or miss. Many of the bill credit electricity plans out there offer credits after you use a certain amount of energy. However, some force you to stay within a window, and penalize you if you go over. That’s why 4Change Energy’s Maxx Saver 12 is a great bill credit option in Texas. You pay a base energy charge of 10.9 cents per kWh. While higher than some plans, you receive a $75 bill credit after 1000 kWh of use. That drops the average price for energy to 6.9 cents per kWh at 1000 kWh (once you add in the standard TDU charges). Be aware that there is an early termination fee of $20 for each remaining month of your contract. And the plan only uses 6 percent renewable generation, well below the state average. But if you feel inspired by the wave of green energy in Texas, you can sign up for the Renewable Energy Option for $19.95. What’s the Best Straightforward Electricity Plan in Dallas? If bill credits aren’t your thing and you don’t want to deal with any surprises, then you want a no-gimmick energy option in Dallas. And for that, you’ll want to look at No Hidden Fees from Frontier Utilities. The plan offers a low energy charge of 6.4 cents per kWh across the board. Once you add in the standard TDU charges of $3.42 per month and 3.135 cents per kWh, the average comes to 9.9 cents per kWh for 1000 kWh of use. The only other charge or fee you should be aware of is the $150 early termination fee. There are other cheap termination fee electricity options in Dallas. But with low rates like this, you’ll want to lock it in and take advantage of it for the full year. How Can I Switch Electrical Companies in Dallas? If you’re ready to take advantage of low rates and switch to a better energy plan, then you have plenty of options. Deregulation gives Texas residents the power to choose. But it’s not always easy. Visit www.TexasElectricityRatings.com for more information on how to find the best plan for your energy needs.